In the fourth and final edition of the ECHL jersey reviews, I’ll take a look at the Mountain Division, which has a few great looking jerseys and some of the worst in the league. For those who missed the other editions, you can read the North Division here, the South Division here and the Central Division here. Again, a huge thank you to Chris Smith at icethetics.co for allowing me to use his graphics for this series. Each team gets an overall score for originality, creativity, color scheme and more. The Americans have some very good looking jerseys. One of the best parts being the simplicity of the jerseys. The red jersey is very simple with just two colors that work well together and that earns some points from me. As much as I like a different looking jersey, like their charcoal gray alternate jersey, for some reason, I really like the American’s jersey combination. The Texas state flag on the shoulder just adds to the simple and sweet look of the jersey. The white jersey looks just as nice as the white. The red shoulder yoke with the Texas state flag is a great look on the white jersey. Personally, I am not a huge fan of the stars on the arms but they aren’t a horrible look. The “Americans” diagonal wordmark is another great look and just makes the jersey that much better. Allen has done a great job with a simple but great looking uniform. I am a big fan of the Colorado Eagles uniforms. I don’t know why, but the black and yellow color scheme really sticks out. The maroon, gold, and blue of the logo is a subtle way to honor the Colorado flag, which sits on the shoulder of each jersey. I’ve said this many times, a black jersey is always a good look. I really enjoy the white piping around the shoulder. I wish that the San Antonio Rampage logo was on the shoulder instead of repeating the Eagle logo but it a mostly gray logo would look odd. The white jersey with a black shoulder yoke is a simple but great look. When it came to the stripes on the arms, I wish the Eagles went with the same look as their black with just three stripes together. Instead, they went with a multiple yellow and black combo. Not a horrible look but I think they could have kept it simple. Colorado’s jerseys are just another simple but great looking uniform. Well, we were on a trend of two great looking jerseys. Then we got to Idaho. The Steelheads’ uniforms are, well, not good. Their color scheme just doesn’t do it for me. Black, blue and gray really don’t work well together. Their black uniform doesn’t have any blue on it, which I find a little odd. The trees on each jersey just look weird to me. It seems like they tried way too hard to make a cool looking jersey and it didn’t work out. The white jersey is a little better because it brings in the blue part of their color scheme but it still isn’t a great looking jersey. Sorry Steelhead fans, just not one of the best jerseys in the world. 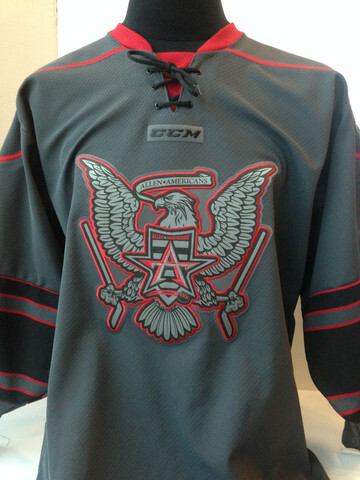 The Aces jerseys aren’t bad in my opinion. I am a fan of their color scheme. To me, it screams Alaska. They did a very good job tying together the color scheme and logo. Frankly, their best jersey is their alternate jersey. I’m a big fan of light blue uniforms, it’s a good look when done right. The Aces black jersey with the blue shoulders and subtle use of green looks nice. I think it would look better if they got rid of the different color under arms. In my opinion, the white jersey is better than the black. On this jersey, I’d keep the black under the arm because it disguises the green piping. The Aces have a very busy jersey with a very odd color scheme but to me, it works well for them. It screams Alaska. The Grizzlies have a very Idaho-esq jersey. Although the color scheme works for the Grizzlies, it is an odd combination. The jerseys could be much better. Personally, I’m not a huge fan of the giant white underarms. Also, the grizzly bear claw marks are a weird look. The white jerseys are much better than the black. The white sticks out way too much on the black jersey but on the white, the green and black works well together. Again, the grizzly bear claw marks look weird and don’t really belong in my opinion. The Grizzlies color scheme works but they could do much better with their uniforms. I’m a huge fan of the Mavericks’ jerseys, mainly because of their color scheme. Their black jersey is one of the best jerseys in the entire league. The subtle use of light blue in the piping is fantastic with the black, white and orange jerseys. The black jerseys are the best jerseys by far, orange and black works well together, it’s a good look. The Islanders blue and orange logo on the black jersey looks very nice. Imagine if the Islanders did a black, orange and blue jersey? It’d look pretty cool. This season is the first season with the “M” logo and personally, I’m not a huge fan. I really liked the cream colored jersey that they wore last season. It was a good look. 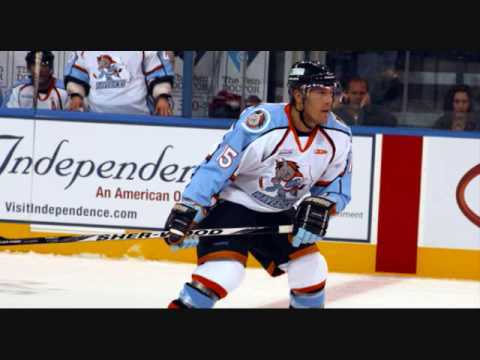 I also really enjoyed the old Central Hockey League look that the Mavs used. Again, the white jerseys they use now are still one of the best in the league. The orange with black piping and light blue stripes look really nice. When used well, light blue is a great color. I’m a huge fan of the piping on the jersey and the original reebok edge template that the Mavs use. I think it is one of the best in the league. Last but not least, the Rapid City Rush. The Rush have one of the best away jerseys in the league as well. I got to see the Rush’s white jersey in person and the classic look of the “RC” on the chest and the same color numbers that are similar to the Detroit Red Wings Winter Classic jersey. The classic look works for the Rush. This season is the first year that the Rush used the Arizona Coyotes theme jersey and on top of that, they added the Coyotes logo on the shoulders. It’s a great look. The only thing I don’t like is the white nameplate but I can get over it. 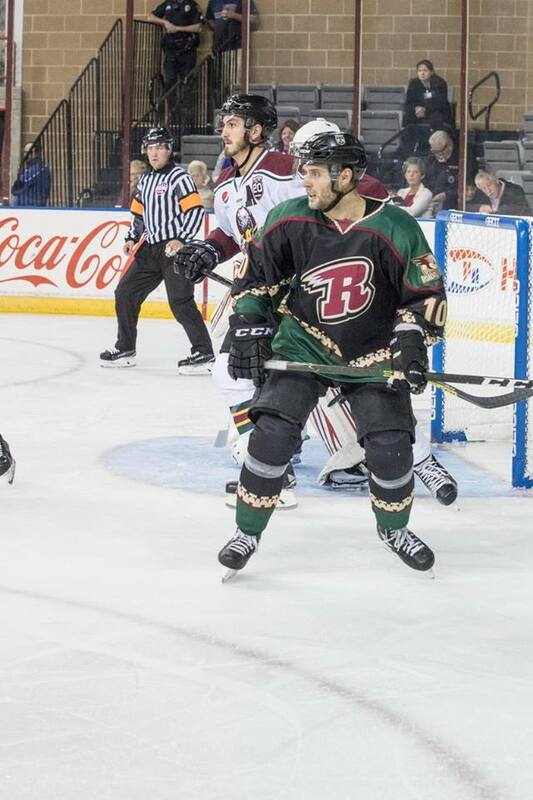 Recently, the Rush wore a throwback Coyotes theme jersey for affiliate night, it was awesome. The Rush have a great logo and some great jerseys based on their NHL affiliate. So what do you think? Who has the best jerseys in this division? Let us know! The weekend is over, so does it ensures tonight? Ends at midnight tonight. Sorry. Thank you, it is appreciated! Midnight central or mountain time? I hadn’t really thought about it until my husband asked me! Midnight in which time zone? Will a message show that the contest is over?